STAMFORD (WABC) -- Attention iced tea drinkers - there is a major recall. 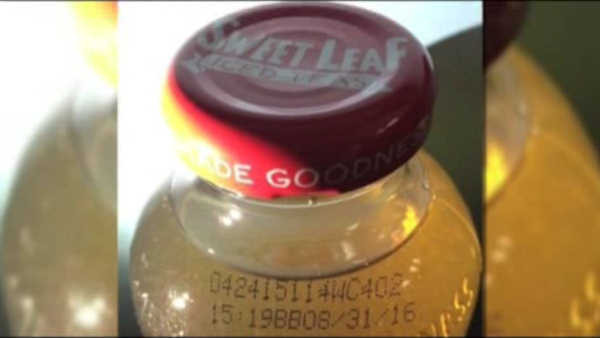 More than one million bottles of Sweet Leaf Tea are being pulled off of store shelves. The Stamford, Connecticut-based company says it has received reports of glass fragments in its drinks. There have been four cases so far. Sweet Leaf says no one has been injured. The recall affects six flavors of teas, all in 16-ounce bottles which were distributed between February 27, 2015 and December 6, 2015. For more on the recalled bottles, CLICK HERE.